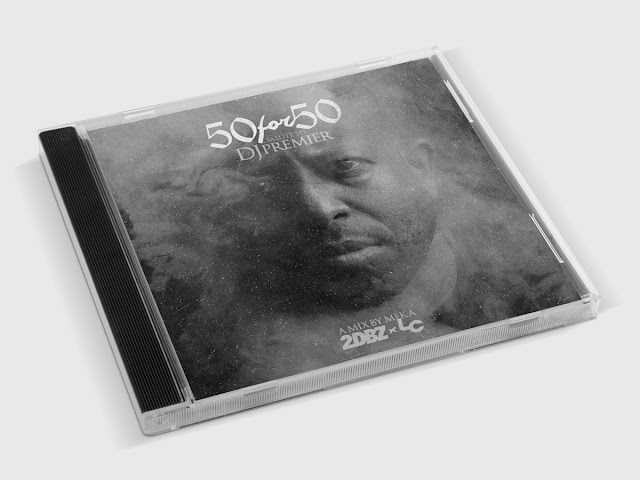 Originally released last year, Meka (2DBZ) found a new home for his mix at MixCloud, so he's sharing it again, with the included note: "As a testament to my advancing age (and dwindling sanity), DJ Premier has been perhaps the most influential person in my musical life. In fact, it was his mastery on both the production boards and turntables which compelled me to try my own hand at this warped world called the music industry. Seriously, hearing “All 4 the Ca$h” for the first time all but confirmed that I would never be a doctor or lawyer. Sorry, mom... Anyways, I consider Chris Martin — along with DJ Jazzy Jeff — to be one of the greatest turntable maestros of all time, and they are the two motivating forces behind my own deejaying career. So, with Premo turning 52 years old today (March 21st), I crafted this mix in honor of him. Cramming 50-plus different songs (count them, if you don’t believe me) into this mix, I played old classics, recent bangers, utilized acapellas, and flipped the original samples. The entire thing took much longer than I thought, but it is one of my favorite mixes to date. I hope you enjoy it as much as I did putting it together." Listen below.